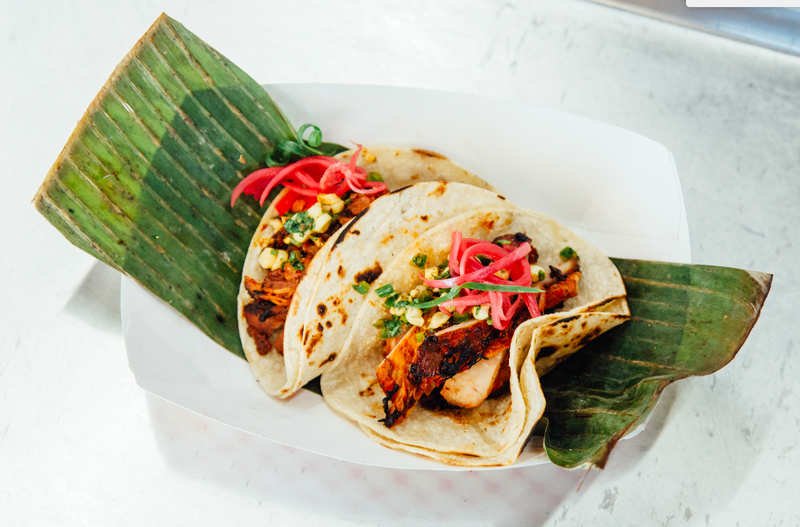 Filipino food is sweet, savory, spicy, and not as well known in the U.S. as it should be. 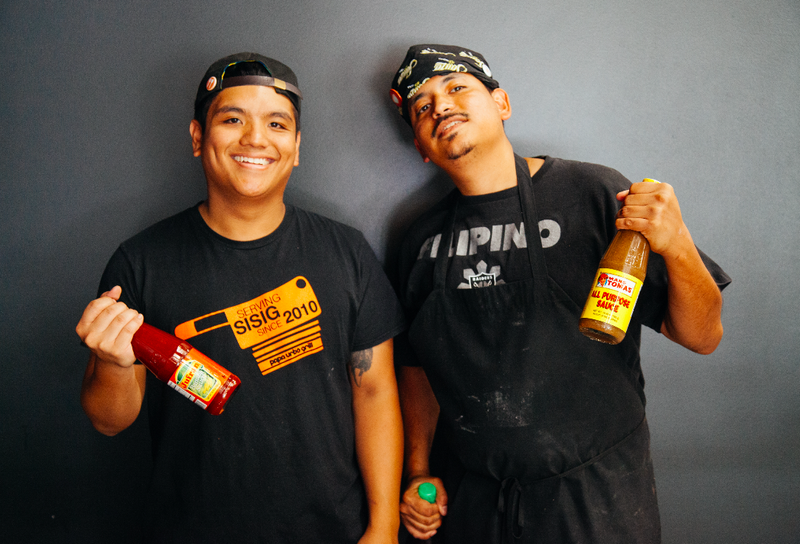 When trying to think of a traditional Filipino dish that hadn’t been influenced by another culture, chefs Alex Urbano and Robert Menor—two friends who run the kitchen at Papa Urb’s Grill in Stockton—couldn’t think of a single one. The 7107 islands that make up the Republic of the Philippines have been touched by more than a few countries since the sixteenth century—Spain, China, Japan, Indonesia, Malaysia, India—and every one of these places is reflected in the food. It’s strange the Filipino food is such a mystery to so many people in the United States—especially when you consider the fact that Filipinos are the second largest Asian-American group in the United States, right behind the Chinese. While Chinese, Indian, Japanese, and Thai foods can be found in every major and mid-sized city, Filipino restaurants are rare outside of Filipino neighborhoods. Staples of the food vary between the northern and southern islands. In the northern islands, you’ll find a lot of pork and fish, whereas in the southern—predominately Muslim—islands, you’ll find mostly goat and beef. Throughout the country, you’ll see a lot of stewed meats and vegetables, usually served on a bed of rice, and sometimes topped with a fried egg. Most dishes tend to be a mixture of sweet and savory, as sugar is used a lot on the islands; the country has been one of the world’s largest exporters of it for centuries, even before the Spanish era. Traditional dishes also tend to be very flavorful— Filipinos aren’t afraid of blending all of the spices that have come to them from all over the world through their historical relationships with other countries—and filling. If you are looking to tackle Filipino food in your own kitchen, it’s important to remember that the recipes are coming from a region that has struggled with poverty for several generations. According to USAID, about 19% of the country lives in “extreme poverty” (and that number is actually and improvement compared to past decades). For that reason, a lot of Filipino food is made with ingredients that can either be found around the island or bought for a fairly low price—like margarine and lemon-lime soda. 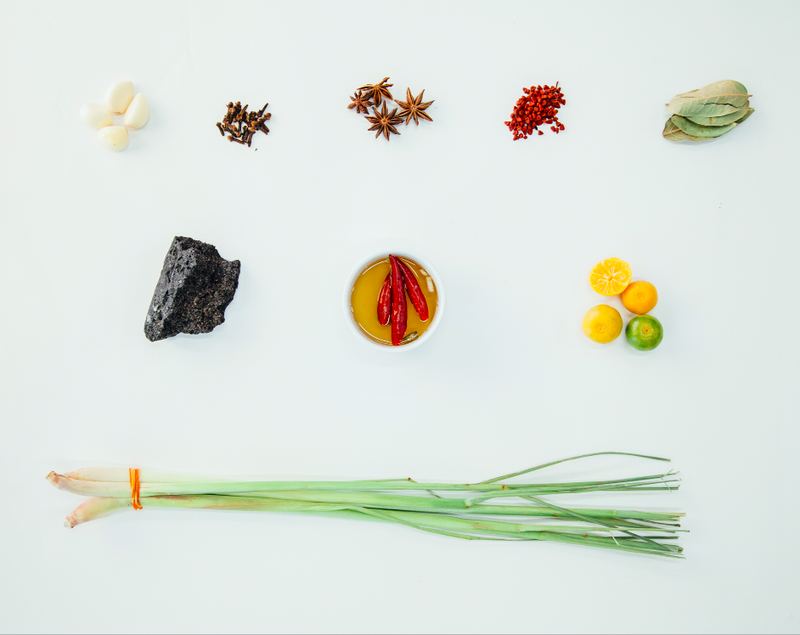 Some of the staples of Filipino cooking are ones that many will recognize and that are found growing in the Philippines: lemongrass, ginger, vinegar, star anise, garlic, and cloves, for example. 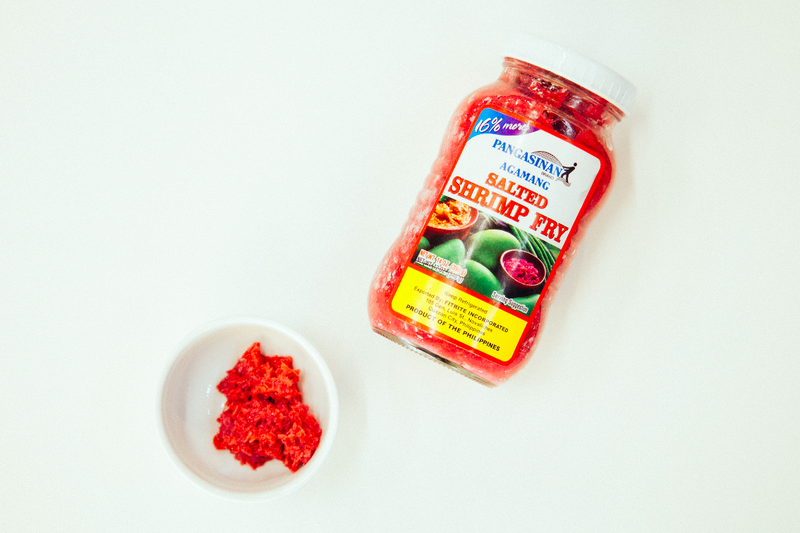 Other ingredients like salted shrimp paste—often added to stews or served raw with vegetable dishes—will be familiar to anyone who has cooked any Asian cuisine. 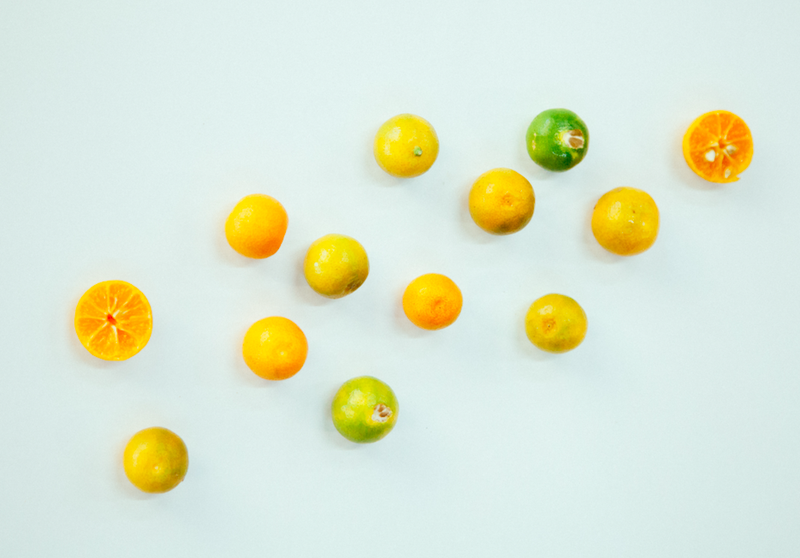 Then, there are the less familiar ingredients, like calamansi—a citrus hybrid that resembles a grape-sized sour tangerine and is often used to flavor fish or squeezed to make “Filipino Lemonade.” There’s also banana ketchup, a blend of bananas, sugar, vinegar, and spice; it tastes like a sweeter version of regular ketchup and was born during World War II, when there was a shortage of traditional tomato ketchup but bananas were everywhere. Banana ketchup has remained a Filipino food staple to this day. You should be able to find most of these ingredients at Asian grocery stores or major retailers with ethnic foods sections. Alex Urbano and Robert Menor believe that the adaptability that has ensured the survival of the Philippines after a long history of poverty and colonization is also partially responsible for keeping their culture’s food out of public view. They're both second-generation Filipinos living in Stockton, California, which has one of the oldest and largest Filipino communities in the U.S since the 1920s. In the early twentieth century, many communities had the goal of blending in as seamlessly as possible, which meant that traditional Filipino foods were mostly eaten at home or in restaurants found deep within Filipino neighborhoods in places those outside of the community weren’t likely to find. Among Alex and Robert's many goals is bringing the foods and making them accessible to the entire community with one more cultural influence: California. 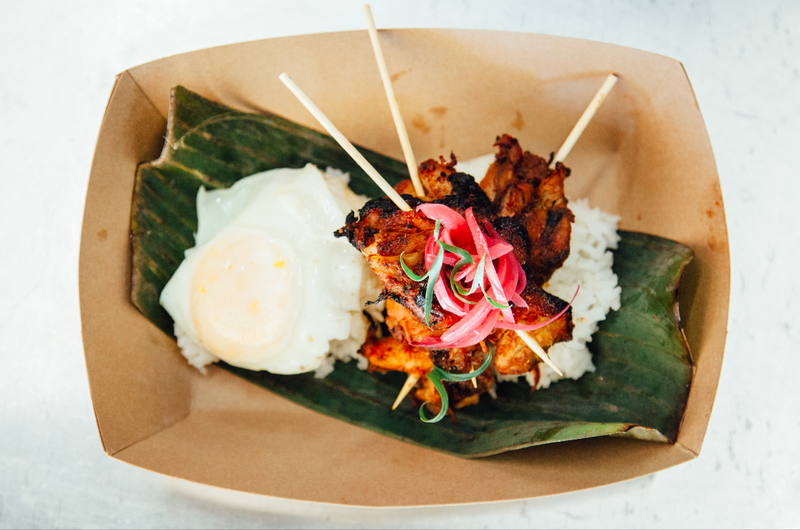 The Chicken Inasal recipe they’ve provided below can be served two ways: on a bed of rice with a fried egg (which is a traditional Filipino approach), or in a taco (for a California twist). Documentary filmmaker, photographer, and radio producer. Awesome tips and very good foods, I love this ketchup products so much, that I share this with my family and friends.. With a simple touch of jufran the flavor explodes, so amazing feeling while relaxing at the same time.. For that I always order this online at https://www.goods.ph with their awesome delivery service, it made possible.. I love to thank jufran for completing mg daily breakfast..
Filipino cuisine looks poised to be the 'It' cuisine this year or next (my pet theory based on articles, blogs, restaurant menus, and social media). Just like kimchi, it's taking mainstream America time to get accustomed to the sweet/salty/sour/pungent flavor profile of Filipino dishes, not to mention some of the more challenging delicacies like balut and pig's blood. There's also the Filipino sense that Americans won't like the food (they even have a word for this, "hiya"). Now we just need a gateway food, like pho, bulgogi, or pad thai, to gently lead more people through the 'door'. I'm nominating sisig, because it's delicious, benign in appear, and so much fun to say! Different regions have varying preparations but the most common are pork jowls, ears, liver, and brain. jowls and ears are boiled then broiled or fried then chopped. the liver is boiled and chopped. brain is boiled then mashed when all the meats are combined. Chopped onions and chilis are then folded into the mix. This is seasoned with salt, pepper, and calamansi. Some regions add vinegar for more tang or replace brain with mayonnaise. Commonly served on a sizzling plate then topped with raw egg. 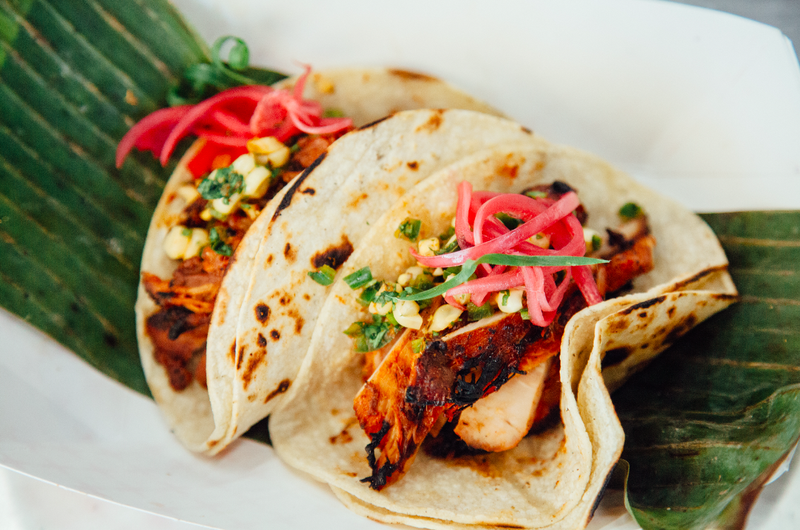 It is often served as bar food but is also yum in a taco or served with rice. I've had it made with beef and chicken too. Sisig doesn't need to go anywhere near Bizarre Foods territory. My (filipino) parents' friends always bring over a version with chopped crispy pork belly with onions and peppers (jalapenos, I think) cooked with vinegar and coated with mayonnaise. It's kind of like a vinegary chicken salad, but with crispy-skinned pork cubes and peppers. It's the kind of thing that you can't stop eating even when you think you're full. @Patricia Ruiz, most definitely. Sisig like most beloved foods have many variations even in the Philippines. I've never had the version with the pig's head and offal, but what I've had is so 'mainstream-friendly' and soooo good. I've wondered why Filipino food has never become the 'it' cuisine, like Korean. Happy to see this. 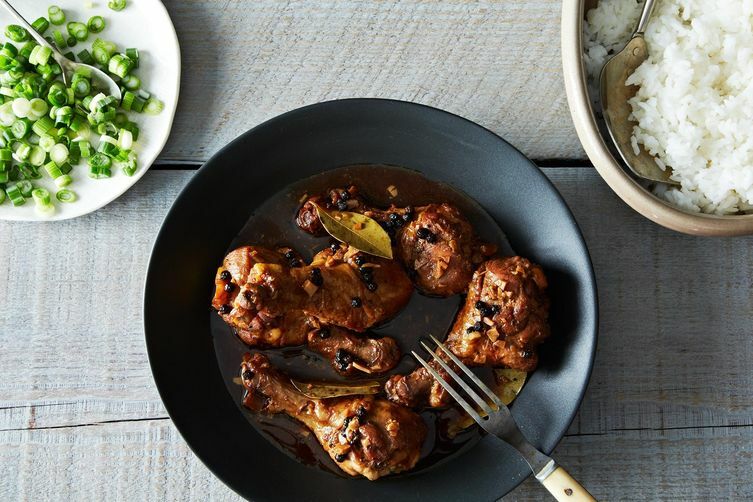 I know very little about it - though I've been experimenting with chicken adobo's for a while. I was introduced by a friend who's a wonderful cook, originally from Curacao, who grew up in Holland, and married a Filipino - amazing Indonesian, Caribbean and Filipino food ensued. Looking forward to trying this recipe and learning more!